The 2.0L M133 turbo engine of the specified A-Class models from AMG is equipped with an indirect charge-air cooling circuit. So the cooling of the charged air is not realized by the ambient air as cooling medium (as usual), but made with its own cooling water circuit. A reduction of the temperature of the cooling water is directly equated with an improved cooling performance of the charged air. This is exactly where the advantages of the WAGNERTUNING upgrade water cooler comes into play. 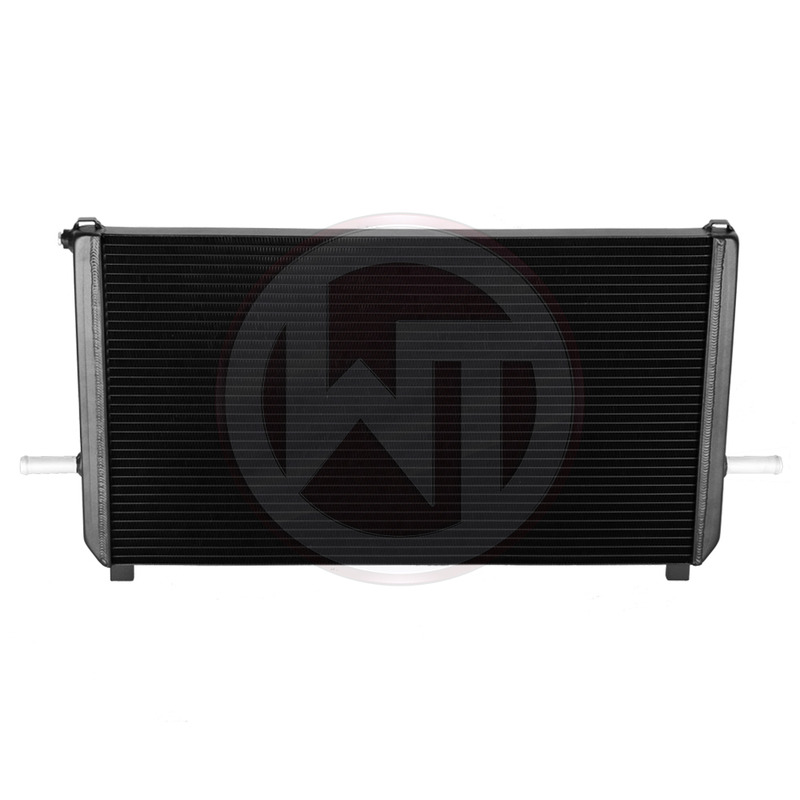 The new developed competition racing core of the WAGNERTUNING high performance water coolers increase the radiator volume of the OEM water coolers by a total of 78 %. 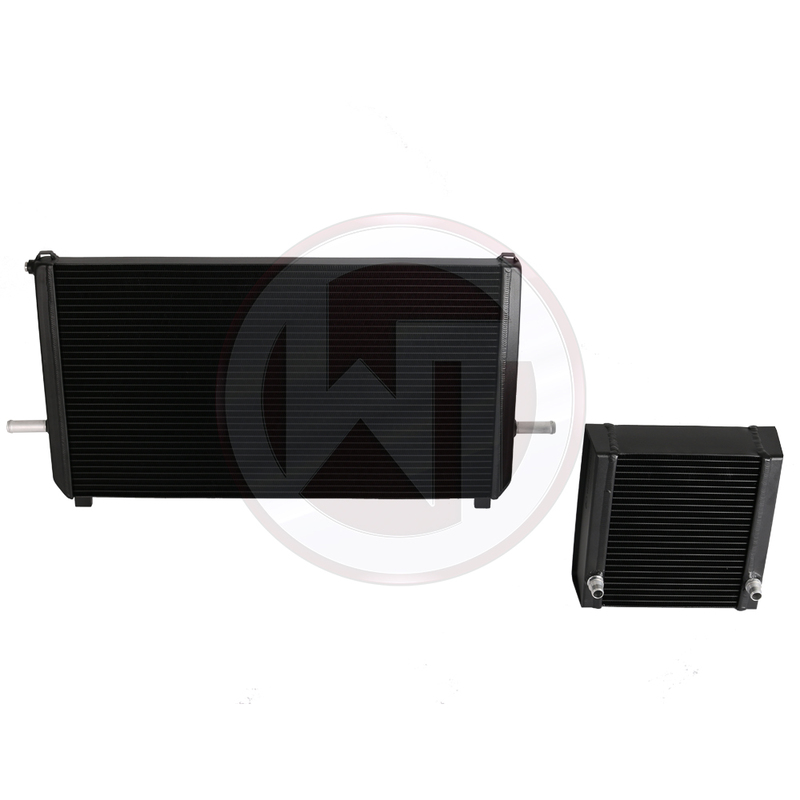 The calculated ratio between the inner and outer cooling surface generates a maximum heat transfer and allows at the same time enough air flow for the surrounding components (for example the engine water cooler) for its own heat exchange. The water coolers are equipped with a heat-conductive anti corrosion coating to ensure a lasting cooling effect. The plug & play installation of the system is simple and easy to perform (an installation instruction is included as well). 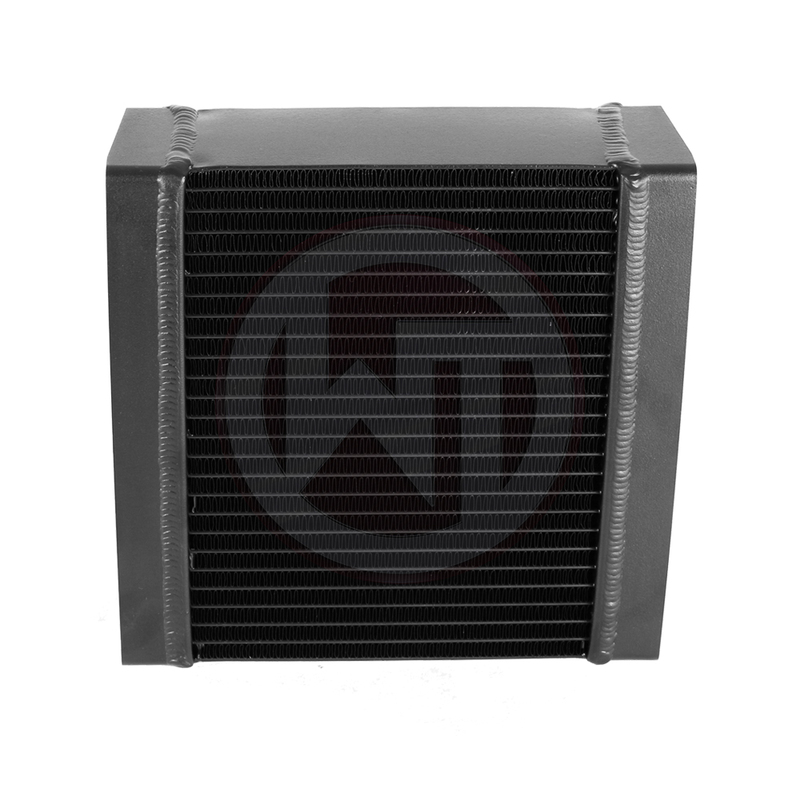 The new developed competition racing core of the WAGNERTUNING high performance water coolers increase the radiator volume of the OEM water coolers by a total of 78Â %. 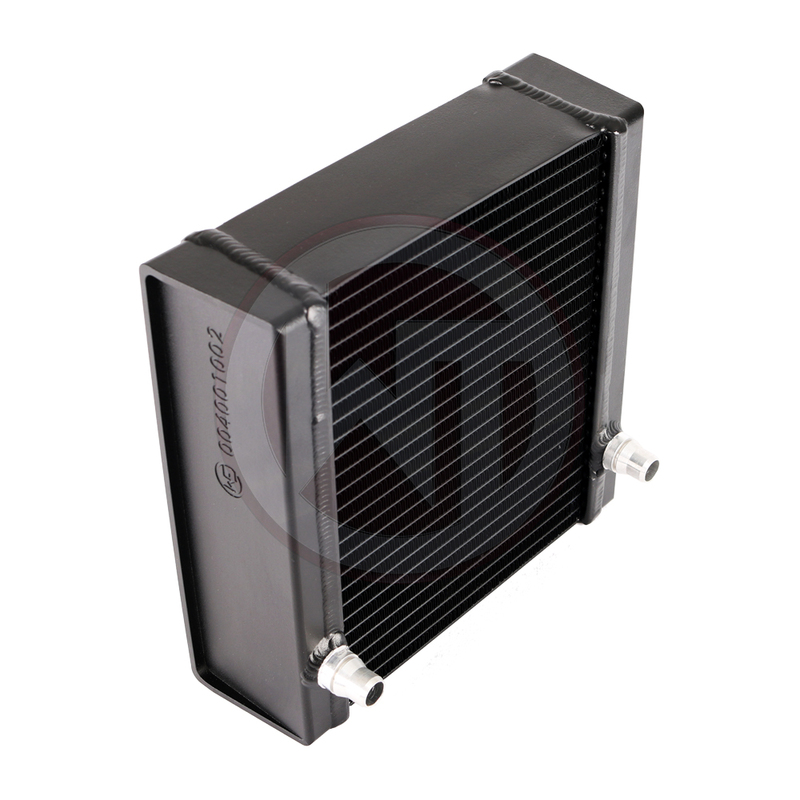 The calculated ratio between the inner and outer cooling surface generates a maximum heat transfer and allows at the same time enough air flow for the surrounding components (for example the engine water cooler) for its own heat exchange. The water coolers are equipped with a heat-conductive anti corrosion coating to ensure a lasting cooling effect. The plug & play installation of the system is simple and easy to perform (an installation instruction is included as well).